Why record at Ocean Analog Recording Studio? Experience, knowledge and passion. Peter Kuperschmid has over 25 years of recording under his belt. Peter is a hybrid recording engineer who knows how to bridge the gap between the vintage analog world and the new recording world of digital audio workstations and plugins. We made a lot of records on old analog tape machines and outboard gear. That equipment has a certain sound that you just can not get in the digital world. Thats why Ocean Analog is so cool! We feature both technologies that enable us to get a more vintage, fat, warm sound in the digital Pro Tools world! The equipment. Yes we have a killer computer running the latest Pro Tools DAW, among others. We also have tons of the most wanted plugins and software in the business. But what makes us a bit more unique, diverse and hybrid is the analog side of things. 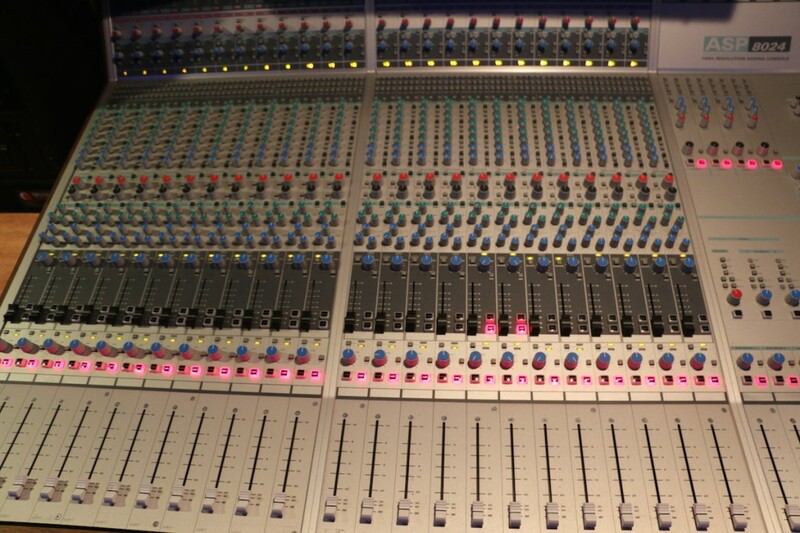 Our brand new English Mixing console is completely analog. It is a high resolution, low noise console made in the UK by the master minds of DDA and SSL. Super quiet, very transparent, highly musical EQ’s and 24 Class A microphone preamps. Does it make a difference? Oh yes, it does! There is a certain warmth, saturation, tone, that can only be gotten from analog gear. If this was not enough to convince you, how about the amazing outboard tube mic preamps? Yes we have hand picked the best of the best. Lets start with 2x Millennia STT1 channel strips. Some consider these to be the best sounding, most versatile channel strip made today. We also have the trusty Avalon VT-737sp 10th Anniversary Edition. A classic staple in any great studio. Retro Instruments Powerstrip mic channel which features a Pultech Style eq and a Fairchild style compressor. I just have to mention again, these are NOT plugins! These are real analog hardware pieces. 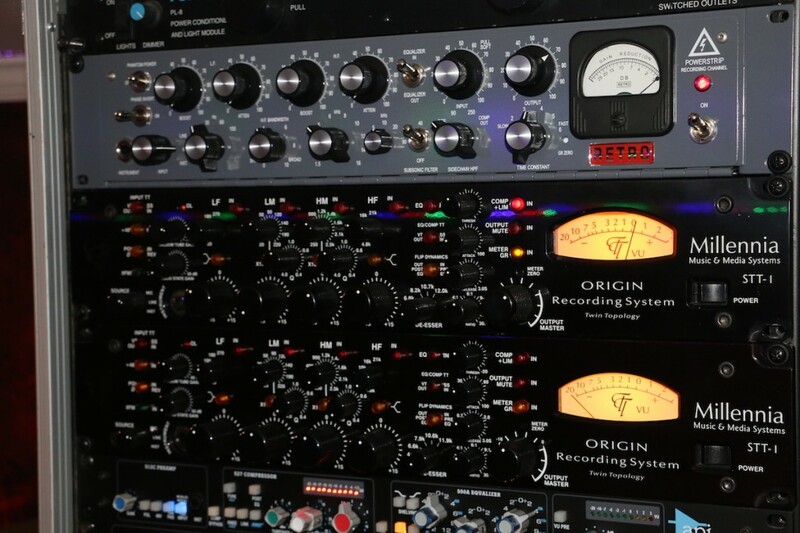 Check out our equipment page to get updated on all the outboard! The bottom line is we blend the warmth and punch of the older and vintage technology with all the latest and greatest of the modern digital audio workstations and plugins. Sprinkle that with engineers with 30 years of recording experience and gold and platinum records to their credit and you have a winning combination!